Intelligence For Your Life - How Much Does Your Dog Bark? On a typical day while you’re at work, how often do you think your dog barks while they’re alone at home? 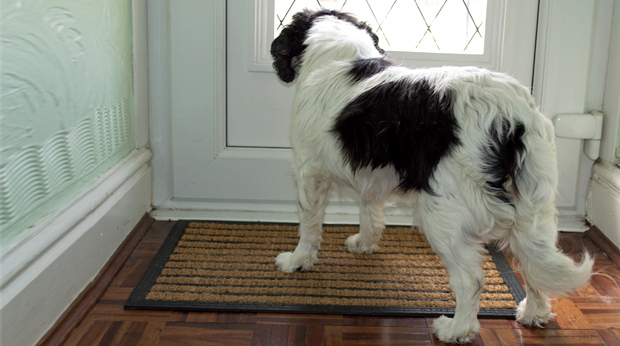 Once when the mailman comes by?… Twice?… or, do you think they’re so well behaved they NEVER bark? Younger dogs bark more than older dogs when they’re left alone. Which makes sense, because ALL babies get stressed when they’re alone – including puppies - until they learn to self-soothe. Also, female dogs tend to bark longer, and more frequently, than male dogs. Researchers say it’s down to a female’s hard-wired mothering instincts, which makes her significantly more protective and aggressive, compared to male dogs. Meaning: They’ll bark at ANYTHING they perceive as a potential threat. Finally: Each time a dog barks alone, this study found they’ll KEEP barking for at least 30 seconds, on average. Which is a good reason to stay on good terms with your neighbors, especially if you live in an apartment. Because if the average dog barks four times a day, for 30 seconds each, this means your neighbors are enduring TWO FULL MINUTES of barking every day while you’re at work!